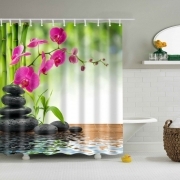 The latest 3D craze is in shower curtains too and people are going crazy ! 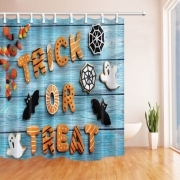 The trending 3D category gives you various options & printed 3D designs on shower curtains. 3D prints are carefully developed to create illusional effects of depth and sharpness thus it feels like like a live object is placed in front of you. 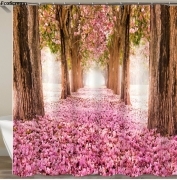 Try these amazing 3D shower curtains. 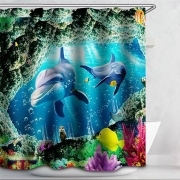 (22 Different patterns) 3D Colorful Shower Curtain fish, turtle, sealife, lines, texture. 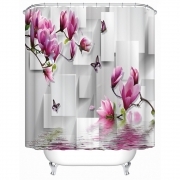 Brighten up look of your bathroom with trending 3D Shower Curtains from ShowerCurtainsSpecialist! 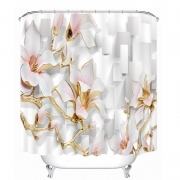 From trendy latest designs to very rare vintage designs of shower curtains, You will get the perfect match as per your budget and requirement! 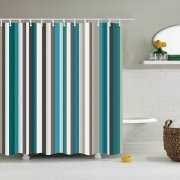 We have large variety of color, design , size and price range of bathroom curtains to choose from. 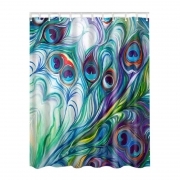 Catch the priceless expressions of your loved once, friends, family members when they 1st time see the funny, awesome, trendy shower curtains on your bathroom. 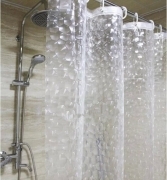 Write us your special needs and we will look forward to match it.